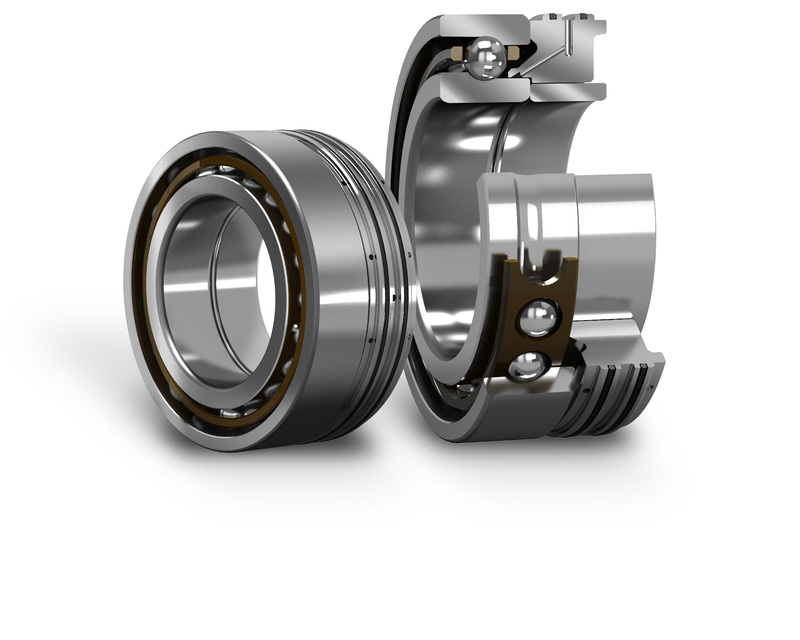 To meet the ever-growing performance requirements of high-speed precision applications, SKF has developed the new Super-precision Bearing Lubrication Unit for use with oil-air lubrication in high-speed applications. This system can not only simplify new spindle designs but can also improve the performance of existing designs. This highly effective solution improves lubricant flow and reduces frictional heating in the bearings, enabling them to operate at speeds of up to approximately 2.5-3 million n dm. By educing the operating temperatures and improving oil-air flow, oil consumption and noise levels can also be reduced. Very high-speed applications generally require a precise lubricant delivery system: The precise amount of oil required to adequately lubricate the bearing is continuously delivered by the oil-air lubrication system, thus minimising friction and operating temperature. An SKF Super-precision Lubrication Unit consists of a set of precision-matched spacer rings and a super-precision high-speed single row angular contact ball bearing in the 70 .. E series (ISO 10 dimension series) with either a 15° or 18° contact angle. Units are available for shaft diameters ranging from 30 to 70 mm. SKF super-precision bearing lubrication unit.